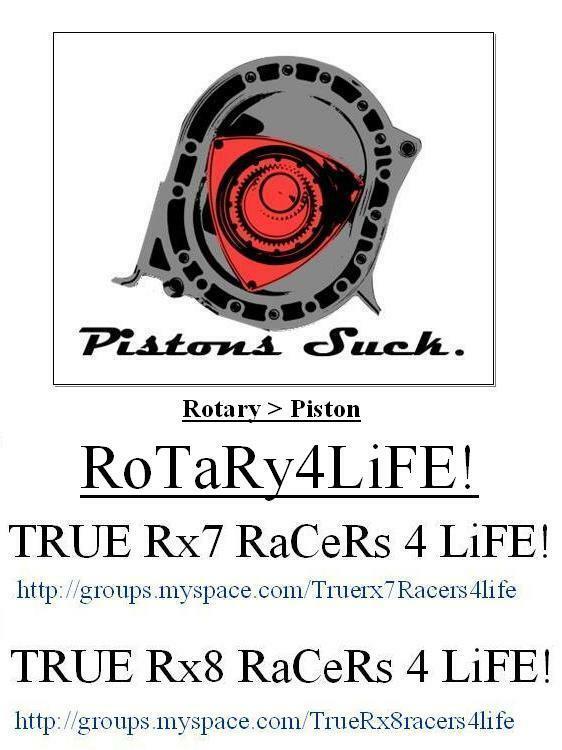 Join up Rotary - Racers/Owners/ Enthusiasts. Your all welcome. Log on into your myspace accounts and click on the link below. Type in the link of the group that you want to join in the URL box. Hope to you see you guys there! Or you can just click on the thumb pic below. Quick Reply: Myspace Rotary Groups!